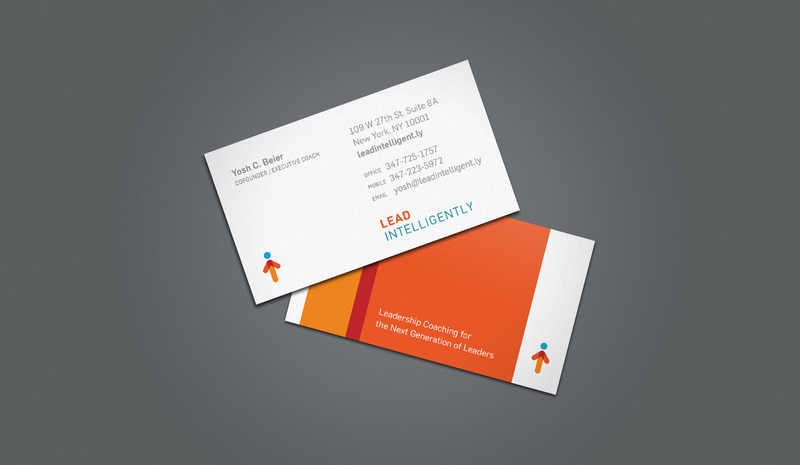 Lead Intelligently provides leadership coaching for Gen X and Gen Y leaders. The goal was to create an approachable identity for the company that did not feel too stuffy or corporate, both to appeal to younger executives and managers but also to reflect the more affordable fees and unique approach the consultancy offers. The upward-pointing arrow shows the ambition and creates an icon of the individual leader. It also points to the head, to connote “intelligent” and, as an added twist, the arrow is composed of the simple shapes of an L and an i.